Description McKesson is in the business of better health and we touch the lives of patients in virtually every aspect of healthcare. It starts with the chain of events you initiate when you work with McKesson Pharmaceutical - a chain that extends across the country and results in millions of people getting more from their healthcare. As the leader in pharmaceutical distribution and supply chain management, McKesson Pharmaceutical delivers vital branded and generic pharmaceuticals, as well as over-the-counter products, to more than 40,000 customers in three primary segments: retail chains, independent retail pharmacies and institutional providers such as hospitals, health systems, integrated delivery networks and long-term care providers. We base our distribution excellence on electronic order processing, asset management tools, a commitment to Six Sigma methodology, order accuracy and supply chain safety. 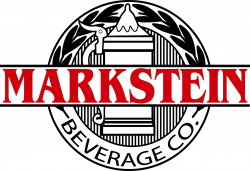 We work with our customers on solutions - including supply management technology, world-class marketing programs, managed care and repackaging products and services - that help them meet their business and quality goals. Our entire team works to ensure patients receive their medications efficiently and begin the process of healing. As the nation’s largest pharmaceutical distributor, US Pharmaceutical is committed to driving total pharmacy health for customers and ensuring that customers receive the right drug at the right time, every time. 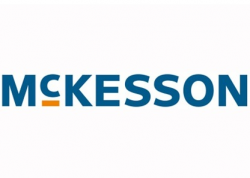 This commitment is underpinned by McKesson’s focus on providing customers with the industry’s highest product availability, intelligent ordering capabilities and unmatched service accuracy. Join our team of leaders to begin a rewarding career. View a Realistic Job Preview​ Current Need Sunday 6:00 PM - until completion and Monday - Thursday 7:00 PM - until completion Position Description Responsible for performing the physical tasks involved in the shipping, receiving, storing, and distributing of products, materials, parts, supplies and equipment. Unpacks and checks goods received against purchase orders or invoices, maintains records of received goods, rejecting unsatisfactory items where necessary. Pulls and fills orders. May use (but not limited to) power equipment such as a forklift, hand tools, and other devices operated in a warehouse environment. This position is not responsible for operating delivery trucks which require a Commercial Drivers License. Prepares and maintains records of merchandise shipped. Posts weights and shipping charges and prepares goods for final shipment. Examines, stocks and distributes materials in inventory and on manufacturing lines. May prepare kitting packages for assembly production. Qualifications Minimum Requirements 2+ years distribution experience Additional Knowledge & Skills Working knowledge of Material Handling issues; Basic reading, writing, addition and subtraction skills Education HS Diploma or Equivalent Physical Requirements Ability to perform lifting (weight varies based on product) Benefits & Company Statement McKesson believes superior performance – individual and team – that helps us drive innovations and solutions to promote better health should be recognized and rewarded. We provide a competitive compensation program to attract, retain and motivate a high-performance workforce, and it’s flexible enough to meet the different needs of our diverse employee population. We are in the business of better health and we touch the lives of patients in virtually every aspect of healthcare. We partner with payers, hospitals, physician offices, pharmacies, pharmaceutical companies and others across the spectrum of care to build healthier organizations that deliver better care to patients in every setting. But we can’t do it without you. Every single McKesson employee contributes to our mission—whatever your title, whatever your role, you act as a catalyst in a chain of events that helps millions of people all over the globe. Talented, compassionate people are the future of our company—and of healthcare. At McKesson, you’ll collaborate on the products and solutions that help us carry out our mission to improve lives and advance healthcare. Working here is your opportunity to shape an industry that’s vital to us all. McKesson is an equal opportunity and affirmative action employer – minorities/females/veterans/persons with disabilities. Qualified applicants will not be disqualified from consideration for employment based upon criminal history. Agency Statement No agencies please.